Brush or spray on. Hose off with water. Immerse in still tank or agitate. Rinse with water. May be used as a pre-soak before steam or hot-tank cleaning. Apply with brush or mop. Rinse with water. For best results, do not dilute. 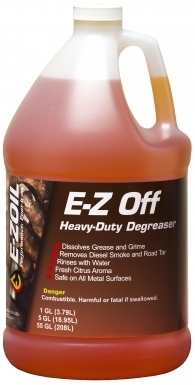 For heavy-duty industrial degreasing performance, reach for E-Z OFF!